Located just north of California’s San Francisco Bay, Point Reyes National Seashore encompasses over 100 square miles (33,300 acres) of coastal wilderness area. At the beginning of the 17th century, Spanish explorer Sebastian Vizcaino named the impressive cliffs that line the seashore “la Punta de los Reyes” (Point of the Kings). The park preserves the natural ecosystems, native species, and cultural heritage found along the diminishing undeveloped western coastline of the United States. Vast windswept beaches, scrub grasslands, salt and freshwater marshes, coniferous forests and striking granite headlands characterize the peninsula, which is home to over 1,000 species of plants and animals. In addition to the area’s magnificent natural beauty, Point Reyes is home to a unique set of cultural resources, which highlights the many layers of human history present in the region. The park contains landscapes that are much as they were when the first Europeans arrived in the 16th century. It includes 15 sites that provide evidence of one of the earliest cross-cultural exchanges between the Coast Miwok Indians and Europeans in Northern California and the most complete record of early interactions with the American Indians on the west coast of the United States. Before the Spanish permanently settled Alta California in 1769, five European voyages had made their way to the Pacific coast—the voyages of Juan Rodriguez Cabrillo and Bartolomé Ferrelo in 1542-1543, Miguel Unamuno in 1587, Sebastião Cermeño (captain of San Agustín) in 1595, Sebastián Vizcaíno in 1602-1603 (who named the peninsula “Punta de los Reyes,” the Point of Kings), and the Englishman Francis Drake in 1579. The archeological sites in the district have the potential to yield additional important information about early European contact with the land and the Coast Miwok. The park also contains twelve historic cultural landscapes and many buildings and structures listed in the National Register of Historic Places, from farmhouses, barns and creameries to a lighthouse and radio station. The park exemplifies centuries of cultural connection to the land and sea along the central California coastline. Drakes Bay Historic and Archeological District is a National Historic Landmark located in Point Reyes National Seashore. Famed English explorer and privateer Sir Francis Drake most likely landed in the bay that now bears his name, on the coast of Northern California, in 1579 to repair his ship while searching for the Northwest Passage, a hypothesized waterway that would open direct trade between Asia and Europe. Though he did not find the passage, this voyage made Drake, who later raided Spanish outposts in the Gulf of Mexico and burned the Spanish fort at St. Augustine, Florida, the first English navigator to circumnavigate the globe. Drake and his crew were also the first Europeans to record their contact with American Indians on the Pacific coast. Drake named the land he encountered in California “Nova Albion,” after the white cliffs at Point Reyes that reminded him of the white cliffs of southern England, and claimed it for Queen Elizabeth I. In the 18th and 19th centuries, England used Drake’s landing to support its claim to the Pacific Northwest when Spain, and later the United States, challenged its rights to the region. In 1595, sixteen years after Drake landed, Spanish traders and sailors stopped at the Point Reyes Peninsula on their way to Mexico from the Philippines. The ocean trade route between Manila and Acapulco carried silver west from the Spanish colonies to the Asian markets and brought Chinese luxury goods east to Europe via New Spain. That year, the Manila galleon San Agustín, loaded with a cargo of painted ceramics and silk, entered Drakes Bay, which is part of the coastal area of Marin County known as “Tamál-Húye” by the Coast Miwok. Sebastian Rodriguez Cermeño, a Portuguese captain who worked for Spain, anchored the ship in the bay while some of the crew went ashore to build a launch. While the ship was at anchor, a Coast Miwok man oared a grass vessel to the San Agustín and the Spaniards gave him several objects from their cargo hold, including a piece of Chinese silk. Soon after this meeting, a storm swept through the bay and the ship wrecked into the shore. Both the Spanish crew and the local Coast Miwok tried to salvage the ship after it ran aground. When the Spanish tried to stop the Coast Miwok from taking the goods, the peaceful encounter turned into a conflict. The crew ultimately abandoned the ship and took the launch to Mexico. After the Europeans left, the Coast Miwok continued to salvage the ship’s cargo and collected the goods that washed ashore. Today, the historic Coast Miwok village and midden sites at Point Reyes contain not only archeological evidence of the Spanish presence in 1595, but also of how the Coast Miwok chose to use Chinese and European goods. After Cermeño’s crew left, Spain rarely visited California until the Spanish formally returned to colonize the province in 1769. When Spain returned to California in the 18th century, it established a mission system that forced native groups to live and work under Spanish soldiers and priests. The Coast Miwok did not join the mission at San Francisco until the early 19th century, just before California became a Mexican province after Mexico became independent from Spain. By the 1830s, when Point Reyes became private ranch land, many of the Coast Miwok left the peninsula to search for opportunities elsewhere. California became an American territory after the Mexican-American War in 1848 and the 31st State of the United States in 1850. The Coast Miwok, now part of the Federated Indians of Graton Rancheria, recognize the Point Reyes area as their ancestral lands. In the 1980s and ‘90s, surveyors from the National Park Service and the National Oceanic and Atmospheric Administration scanned Drakes Bay for magnetic anomalies that might give up the location of the San Agustín. The loation of the submerged wreck is not yet pinpointed, but historical accounts of the San Agustín and the sites of magnetic anomalies found during underwater surveys indicate that it is in the area, and it aligns with the currents that occasionally bring pieces of the ship’s ceramic cargo to shore. The Coast Miwok archeological sites are in remote, protected locations on Point Reyes Peninsula. 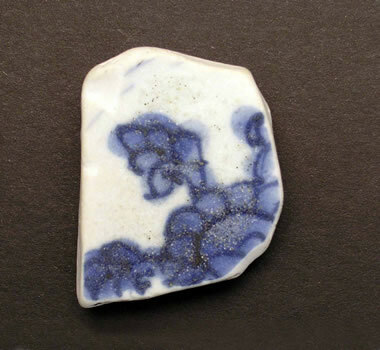 Point Reyes National Seashore collection contains over 700 pieces of Chinese ceramics found in the park, washed up on the beach, or at historic Miwok sites during excavations. The earliest known human inhabitants of what is now the National Seashore were the Miwok American Indians, indigenous people who thrived within the fertile and biologically dynamic region. The Miwok lived along the central Californian coast for thousands of years before European contact, building small communities and developing rich economies based on gathering, fishing and hunting. They were prolific farmers and craftspeople who used native grasses, gray willow, hazel, lupine and tule to create thatched roofs, mats and baskets. Polished and carved abalone and clam shells were used to craft beaded decorations and make currency. Sir Francis Drake is believed to have been the first European to make contact with the Miwok, when in 1579, he probably stopped along the craggy coast during his circumnavigation of the globe. After camping along the beach, which today bears his name, he claimed the land for Queen Elizabeth before returning to sea. Meanwhile the Spanish had also been sending ships along the Pacific Coast for many years and conducting overland exploratory missions, heading northwest from Mexico. In 1603, explorer Sebastian Vizcaino first sighted the rocky headlands along the Miwok-inhabited coast. He named the impressive cliffs “la Punta de los Reyes” (Point of the Kings) after the three wise men of the Catholic faith. Contact between the two cultures increased over the next decades, and trade of Spanish metal goods for fine Miwok baskets continued through the next century. 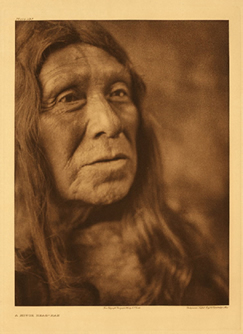 By the mid-1700s, however, the traditional Miwok population along the Pacific coast was waning as the result of disease and displacement brought about by increased Spanish settlement. Several Catholic missions established in the Point Reyes region introduced Christianity to the Miwok people and often forcibly removed them from their land. Spanish settlers and immigrants overtook and transformed what had once been strictly Miwok territory by the early 1800s. Today the Miwok still live in the Point Reyes area with roughly 500 members registered as members of the federally recognized tribe. The National Seashore showcases their traditions with pride at Kule Loklo, a replica of a historic, Coastal Miwok village featuring various construction methods. The park offers ranger-guided interpreted tours of the village weekly and offers free, curriculum-based youth programming. Partner programs through the Miwok Archeological Preserve of Marin (MAPOM) provide California Indian skills classes at Kule Loklo and special festivals and events. Visitors interested in learning more about the Miwok and other American Indian tribes of the region can check out the nearby Marin Museum of the American Indian in Novato, CA. 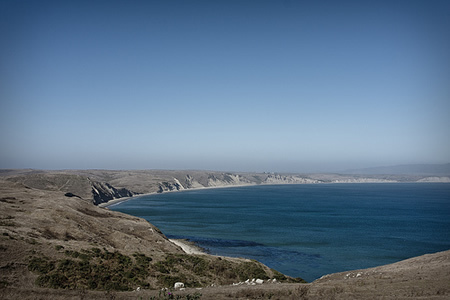 Major European ownership of Point Reyes began in the early 1800s through Mexican land grants. The Miwok people carefully tended the peninsula’s land for thousands of years through systems of controlled burning, pruning and harvesting. When early Spanish and American settlers arrived, they found a lush and fertile landscape. The 1849 California Gold Rush brought an influx of merchants, professional practitioners, laborers, and agriculturists, seeking wealth along the shores of San Francisco Bay. Many possessed dairying skills and traditions from their native homes, and the treeless coastal plain beckoned with potential for pasturing cattle. In 1866, the law firm, Shafter, Shafter, Park and Heydenfeldt purchased the entire peninsula resolving disputes over land grants. The firm sold the northernmost part to an old friend of the Shafters, Solomon Pierce, who eventually built a small town around his dairy business including a schoolhouse, blacksmith shop, milking barn, and creamery. The Pierce Point Ranch, with its historic buildings and structures that date from c. 1869, is listed in the National Register of Historic Places. The ranch is a popular park attraction for visitors interested in the ranching heritage of Point Reyes who wish to take self-guided tours. South of Pierce Point, the peninsula was divided into a series of tenant parcels labeled from A to Z, today referred to as the “Alphabet Ranches.” Shafter recruited European dairymen as superintendents to construct new facilities, recruit immigrant ranch hands, and aid in selection of the tenant ranchers. 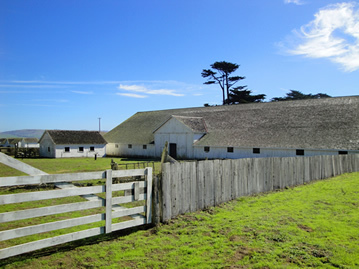 The ranches eventually became home to Irish, Swedish, Italian-speaking Swiss, and Azore Islands-Portuguese families as well as surviving Coast Miwok displaced by the Spanish missions. Later, Chinese, Canadian, Filipino, Mexican and German immigrants all found their chance to get started in America dairying at Point Reyes. Throughout the late 19th century, the Point Reyes ranches produced record amounts of high quality butter and cheese. 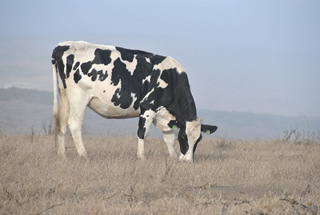 With up to 250 cows per tenant, the enterprise was one of the largest operations in the State of California at the time. Their products were so well known, nationwide, that other dairymen often forged the Point Reyes “PR” brand stamp. By the mid-20th century, major ranching at Point Reyes ended. A combination of factors contributed to the industry’s demise including damage caused by the 1906 earthquake, the Great Depression, and the absence of Miwok traditional agricultural methods that kept the land fertile. Today visitors can still find many vestiges of the dairy history at Point Reyes within the park. For example, the Olema Lime Kilns, a National-Register-listed property dating from 1850, has two arched fireboxes that still stand as reminders of the early working landscape at Point Reyes. The former “W,” or Bear Valley, Ranch is now the National Seashore’s main headquarters. Visitors to the Bear Valley Visitor Center pass through the former ranch core, adaptively reused for park administration and support services. The Marin Agricultural Land Trust offers guided tours of selected West Marin ranches, as well as educational programming for children. The Pacific Ocean has always been important to settlers at Point Reyes. Although the natural bay and protected estero provide the potential for docking and maritime commerce, the dangers of Point Reyes have consistently outweighed its appeal. Point Reyes is the windiest place on the Pacific Coast and the second foggiest place on the North American continent. Weeks of fog, especially during the summer months, frequently reduced visibility to hundreds of feet. The craggy shoreline, sheer granite headlands, and turbulent waters plagued early boat captains off the central California coast, and through the late 1800s, shipwrecks along Point Reyes’ shores were a common occurrence. In 1871, the United States government established an official maritime lifesaving agency. 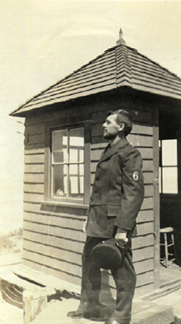 The United States Life-Saving Service (USLSS), which would eventually evolve into the United States Coast Guard, established a lifeboat station for the eight-man crew of rescuers at Point Reyes in 1890. Despite the frigid waters and pounding surf, the Life-Saving Service made countless rescues via simple, oar-paddled surfboats. By 1927, larger, motorized boats made the original lifeboat station obsolete necessitating changes to it. Advanced coastguard technology, including helicopter rescue, eventually led to the station's closure in 1969. Today the Point Reyes Life-Saving Station compound is listed in the National Register of Historic Places and is a National Historic Landmark. The building is visible from the Chimney Rock Trail and is sometimes open to the public on weekends from January to mid-March. For more information, please call the National Seashore at 415-464-5100. In addition to the life-saving service, Point Reyes is famous for its historic lighthouse. First lit in 1870, the lighthouse stands over 600 feet above sea level on a ledge blasted out of the rock with dynamite. The lighthouse parts were made in France in 1867 and shipped to Point Reyes via steamer, around the tip of South America. After 105 years of service, the Coast Guard installed an automated light and formally retired the lighthouse in 1975. The lighthouse still stands on the western most point of the Point Reyes headlands. It is listed on the National Register of Historic Places and can be found on the National Maritime Initiative’s Inventory of Historic Light Stations. The Lighthouse Visitor Center is open from 10:00am to 4:30pm, Thursday through Monday. Visitors can view historic photographs and purchase books and maps at the center’s bookstore. Guests interested in later maritime history may also enjoy stopping by the RCA / Marconi Wireless Stations. In 1913, Guglielmo Marconi established a wireless communication facility at Point Reyes with a telegraphy transmitting station in Bolinas and a receiving station in Marshall. They formed the foundation for the most successful and powerful ship to shore and land station (known as "KPH") on the Pacific Rim. An Art Deco style building replaced the smaller Marshall receiving station in 1929, and both sites retain their still-functional World War II-era radio equipment. The structures are listed in the National Register of Historic Places. More information about KHP and the stations can be found with the Maritime Radio Historical Society, which runs a commemorative broadcast out of the stations each year on July 12. For more information, stop by one of the three visitor centers located at Bear Valley, Drakes Beach, or the lighthouse. Staff can also assist with the abundant recreational opportunities at Point Reyes including 240 kilometers (150 miles) of hiking trails, backcountry campgrounds, beach combing, kayaking, biking, hiking, and wildlife viewing. The Kenneth C. Patrick Visitor Center at Drakes Beach hosts exhibits about 16th century exploration, first contact, and maritime hsitory with artifacts and maps. The Bear Valley Visitor Center, called the Red Barn, holds the park gift shop and orientation center and is at the Bear Valley park entrance. Visitors can obtain camping and fire permits at the Red Barn, and a ranger tour of the replica Coast Miwok village begins at the Red Barn. The Lighthouse Visitor Center, by the historic 19th century Point Reyes lighthouse, provides visitors with information about maritime history and science. Ranger-guided programs give visitors the opportunity to explore the wonders of Point Reyes with a park ranger. Programs are offered each weekend on both Saturdays and Sundays throughout the year, and are often offered weekdays during summer, winter, and spring breaks. The park museum and archives are home to hundreds of thousands of natural specimens, archeological objects, photographs, correspondence and other artifacts relating to the cultural history discussed above. They are open to the public by appointment – please call 415-464-5218 for more information. Point Reyes National Seashore, a unit of the National Park System, is located approximately 30 miles (50 km) north of San Francisco on Highway 1 along the west coast of California. Visitors can also reach the park via Sir Francis Drake Blvd. or the Point Reyes/Petaluma Rd. Maps of the area can be found here. For more information, visit the National Park Service Point Reyes National Seashore website or call 415-464-5100. For a list of additional NPS-recommended nearby attractions, follow this link. Point Reyes National Seashore is also featured in the National Park Service Places Reflecting America's Diverse Cultures: Explore their Stories in the National Park System Travel Itinerary. The National Park Service Archeology Program has a feature on the "The Sixteenth-Century Cross-Cultural Encounters in Point Reyes National Seashore."